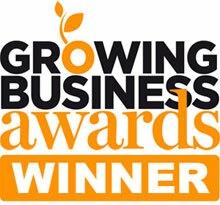 Some of the UK’s finest mid-sized and high-growth businesses were recognised at the 2012 Growing Business Awards on November 27, in association with Lloyds Bank, and hosted by the CBI and Real Business. The awards ceremony, hosted by former Olympian and BBC presenter Steve Cram, honoured UK businesses across ten categories, ranging from Digital Champion to Entrepreneur of the Year. We are very pleased to announce that Comtek’s MD Askar Sheibani was named joint “Local Hero” at the awards. This award is given to the candidates who are not only entrepreneurs with successful businesses but are also actively involved with improving the local community and region in which they work. Askar has worked for the past few years to have Deeside successfully recognised as one of the Welsh Government enterprise zones of which he is now the chair. He also works as an entrepreneurial champion for young people in the flintshire area and has set up, together with community groups, a successful campaign to support young people to set up businesses, find employment and become apprentices. He also continues to support “Justice in a Day”; a local charity which helps to educate school children about the consequences of anti social behaviour and criminal acts. Askar has worked continuously to have Deeside recognised as a good place to live and work and is a member of many business forums including as a Council member for the CBI. Mark Stokes, Managing Director of Mid Markets, Lloyds Bank Wholesale Banking & Markets, said: “Congratulations to all of tonight’s winners; they are a fascinating and highly impressive group of entrepreneurs and high-growth businesses whose future successes will no doubt play a vital part in our economic recovery. Dr Neil Bentley, CBI Deputy-Director General, said: “The UK’s small and medium-sized firms have some of the greatest potential to grow and increase jobs, so creating the right conditions for them to do business in is critical to the health of our economy. The Growing Business Awards are supported by Cass Business School, Business Voice, Professional Engineering, Land Rover, Lloyds Private Banking, Spring Law, Cavendish, Visa, Your Business Your Future, Bdaily Business Network and the Financial Mail.